Prime Day Is July 17th at 3 pm, Are You Ready? Getting your groceries delivered seems to be more popular every day. With the convenience of ordering groceries online from your smartphone while you are at work, on a playdate etc is appealing for many. Or what used to excite me so very much when I first became a stay at home mom, heading to the store with my coupon binder and hitting the endcaps filled with clearance. Hoping I had a coupon for the items I found. For those of us who are die-hard deal seekers because we just love saving money on everything shopping online is tricky. 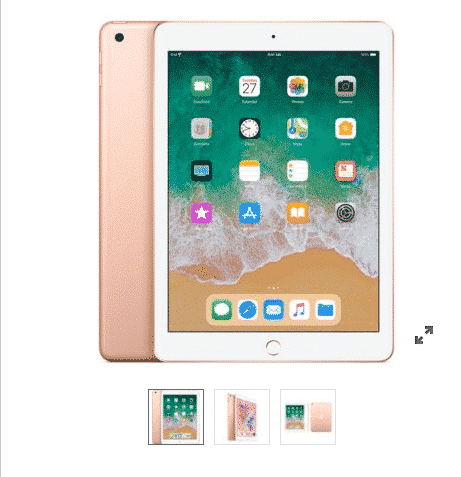 Right now is a deal for everyone you won’t want to pass up. In celebration of Prime Day ( starts July 16th and 17th) there is a free 30-day trial of Prime Pantry. PLUS there are a few codes to use and a free box of Honey Nut Cheerios for order. Taylor and I gathered up a couple deal scenarios below for $23 and $10 taking advantage of Prime Pantry discounts going on. Sign up for Prime now if you haven’t for a FREE 30-day trial ! Prime Day is July 17th and that’s a super time to have a Prime Account. 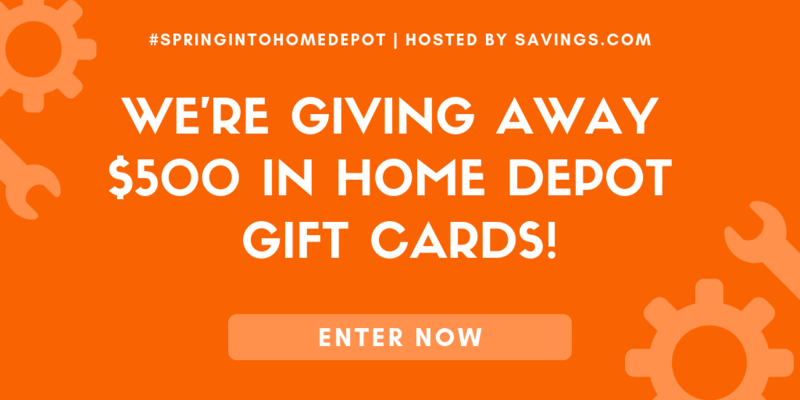 Get Christmas shopping started and maybe even DONE in July! Right now when you sign up for this free trial you will save $10 off a $40 purchase AND get FREE Shipping. You can even stack COUPONS on top of Prime Pantry discounts. Shipping on Prime Pantry orders is normally a flat rate of $7.99 per order, or utilize the $5/month or $58/year plan. This pays for itself almost immediately. 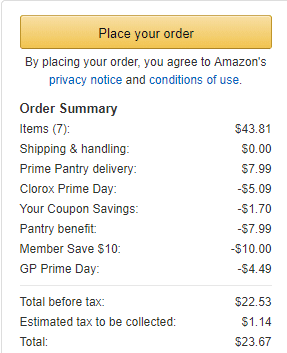 Previously, customers paid $5.99 for each Prime Pantry box sent to their house and had to fill their box to a percentage. This revamp is SO MUCH EASIER. You can cancel this membership/trial at any point. But I highly recommend waiting until you snag some deals for Prime Day 2018 ( July 17th ). There are going to be plenty of Prime Day Exclusive items. 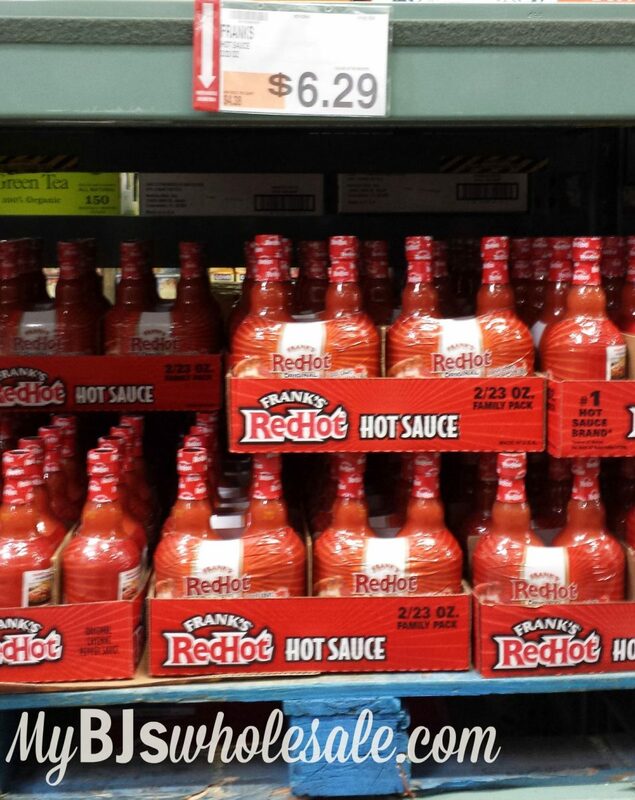 View ALL Prime Pantry Discounts and Coupons Here. This is just an idea and you can choose from a variety of products! You must have the Prime Pantry membership to get the extra 30% off. You can stack tons of deals before Prime Day July 17th! Amazon Offers FREE Shipping with $25+ Orders or gets FREE 2nd-day shipping on all orders with our FREE TRIAL of Amazon Prime. 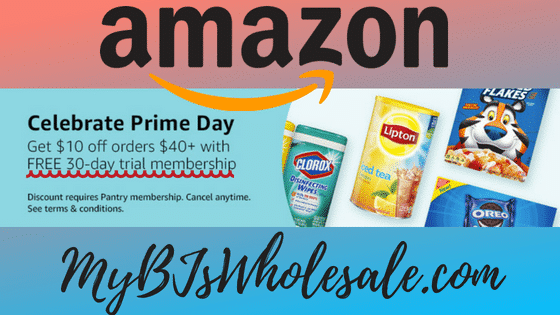 A prime trial is also free with Amazon Family ( Bank 20% off Diapers/ Formula and other essentials ) EBT Cardholders can save on a Prime Membership HERE. 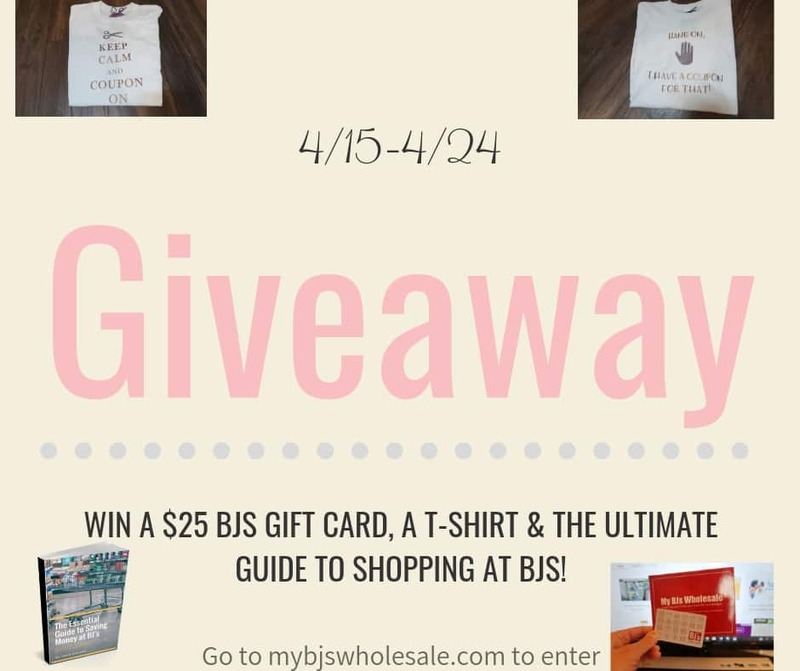 Leave a comment below on the deals you stacked! Subscribe to get our best deals 2x a week. You're Back! Thank you for checking out the site again. You are awesome & we appreciate you. I loved this article! 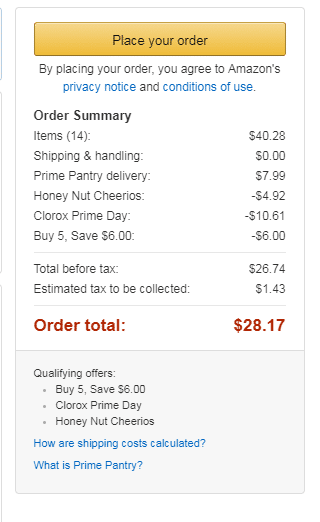 I now understand what’s going on with Prime pantry and how to save lots of money on prime day. Thanks for all the ideas and breaking it down so easy! Your the best!